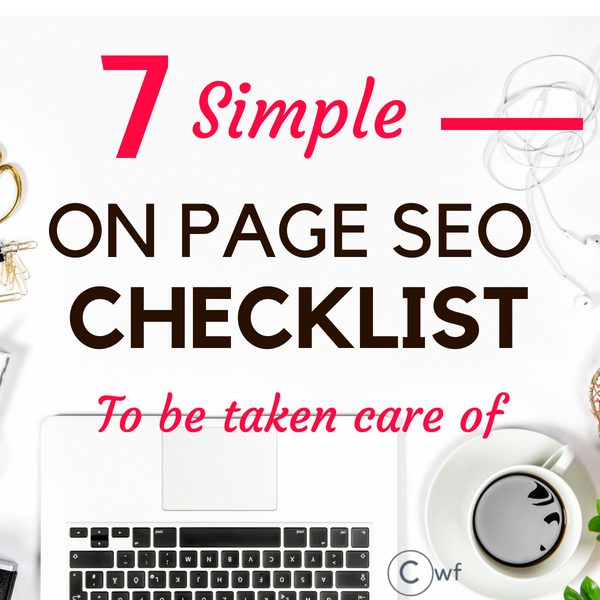 Blog seo heavily depends on on page seo checklist. For professional bloggers, the ultimate goal of blogging is to get visitors whether from social media or organic. While organic traffic is a bit harder to get but with proper on-page optimization you can easily attract a few thousands of visitors to your new blog. This On page Seo checklist will help you write a post with proper optimization for getting organic traffic. Apply the checklist for at least 40 posts before you get impatient to see the results. Yoast Plugin will give you a comprehensive detail about on page SEO list through its content analysis. I insist you on installing Yoast SEO plugin and then check the ideal setup for focus keyword for better search engine ranking. The title tag defines the title of your web page. 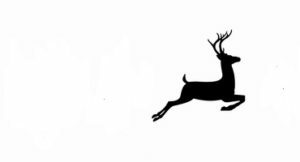 It is ideal to have title tag length between 50-60 characters. Google will only show the first 60 characters in search engines. So, how can your competitor teach you about the title tag? Suppose your niche market is ‘sugarless desserts’. Let’s see google top results. 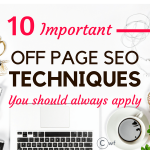 Your titles are one of the important on page SEO factors. Your title is the first thing a user notices before clicking it. Take Action: Check out the title of various posts of the top blogs in your niche market. 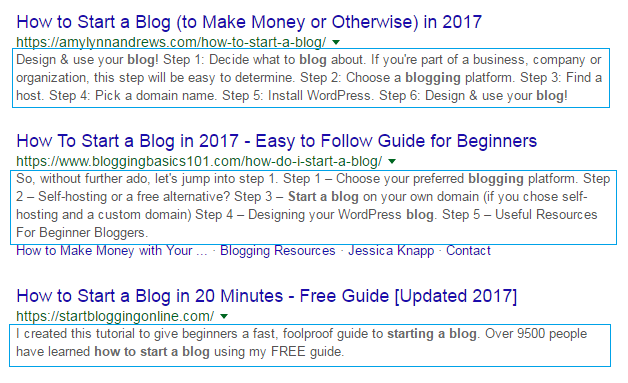 You should begin your Title tag with your targeted keyword. Keywords have more impact on search engines when it is placed at the beginning of the title tags. So try to push the keywords as at the beginning as possible. Trying to find perfect keywords? Check out the meaningful keyword research process. Keep the URL short and sweet. No need to have dates or complex url structure. 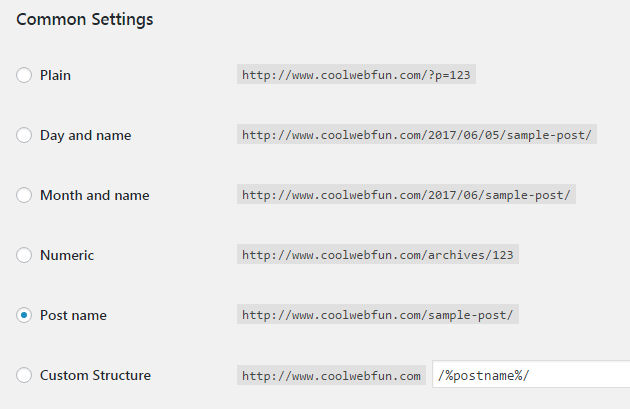 If having trouble in changing URL structure then go to WordPress Settings> Permalinks. Here you can choose the structure you would like to display. Have your keywords included in the URL. 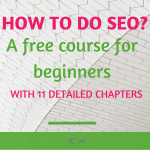 It is not necessary but a good on page seo practice. 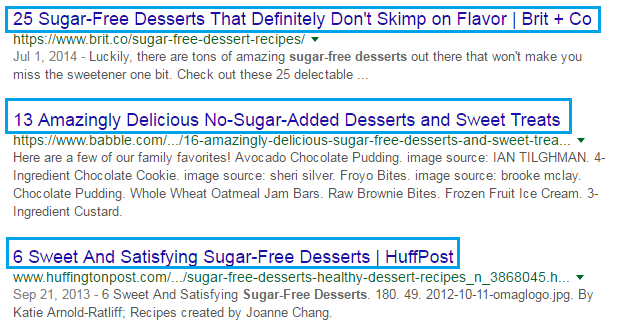 Check out the meta descriptions from the top results. Write a well-described meta description. The meta description is read by 90% of users before clicking on the link. The user tends to get a zest for what they are going to read. If meta description does not satisfy their thirst, they will ignore your post as a whole. You can also create a questionnaire and write it in the meta description. That way people will come know what are the queries your post is going to solve. A keyword is definitely an important aspect of on-page SEO Checklist. Choose your primary keyword carefully. You can choose from low competition and high competition keywords as described in the keyword research process link given above in this post. Apart from the primary keyword, you can choose 2-3 other keywords as well. The premium version of Yoast Plugin allows you to set multiple keywords. But as a newbie, it is a tricky situation to invest in something. 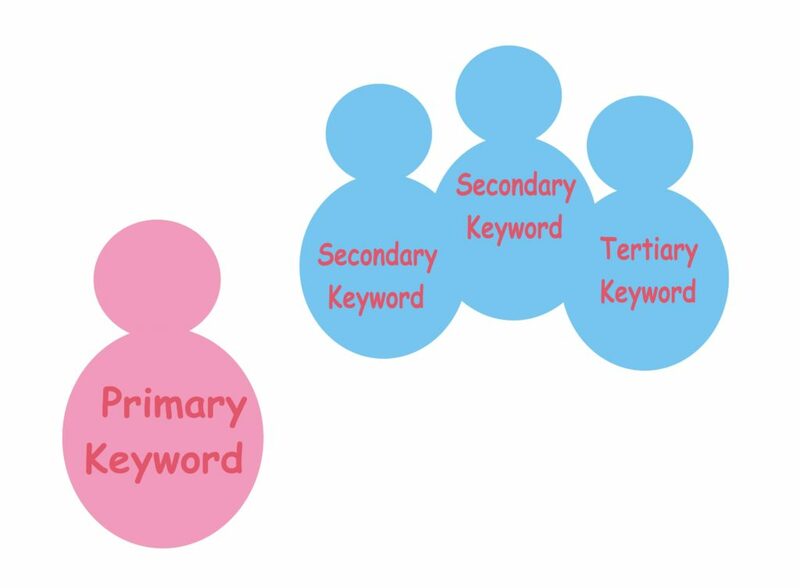 So why not you pick up some secondary, tertiary keyword and use them in your post less likely as your targeted keyword. You can find the keywords using Keyword Planner Tool. Doing a competitor analysis you can find out which words or phrases are used frequently. You can check it with Keyword density analyzer tools. Just paste the blog post and you will see the keywords with highest densities. Once you find the keywords with high densities then you can check in AdWords keywords planner whether they are high or low competition keywords and thus get an in-depth of the keyword research process. It is commendable to use your keywords in Heading Tags like H2, H3 and so on. As keywords in Heading tags lightly impact the on page optimization. Internal links are as powerful as backlinks. Internal linking of your blog post improves the crawlability of your site. The crawl bots of search engines hop from one link to another. So when you are not providing any internal links within your site, you are basically stopping the search engine bots to crawl any further and thus deteriorating search engine results. Proper interlinking of posts is very much necessary for on page seo. You can use different keywords as anchor texts while linking internally. Check your competitor’s post in your niche market and see how many links lead to their own site. If you search for Google’s top results you will find that posts are beautifully interlinked to relevant posts as reference. Bounce rates can be slashed by avoiding low-quality contents. When a user hits the back button soon after landing on your web page then it tells Google directly that is a low-quality page. Thus Google uses bounce rates as a determining factor for the web page quality. 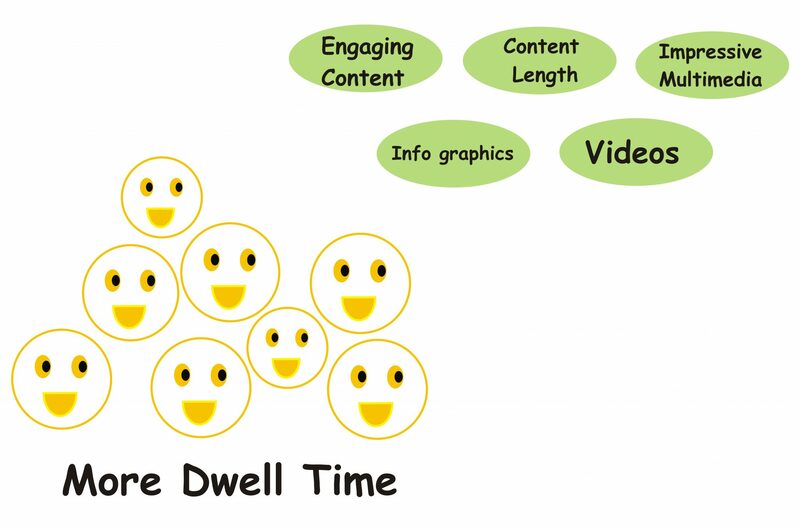 You can increase the dwell time by writing engaging content, filled with multimedia, infographics and other useful info which your user will enjoy and spend time with. Another factor which effects dwell time is the content length. It is natural that an in-depth article of 2000 words will be more engaging than a 500 words mini post. Content length not only decreases bounce rates but also improves search rankings. How much time do you spend on meaningful relevant articles? You will find that the top posts in your niche market generally have more than 2500 words with engaging multimedia and hence more user interactions. Check out the top posts and you will get a clear idea about writing an engaging content. Your search engine rankings determine the amount of search traffic your post going to attract. So when you are here checking on page seo checklist then definitely you want to improve search traffic drastically. Do you know that loading speed of a website is one of the factors to get your posts positioned in search engine rankings? Here I have found another interesting post to improve WordPress web page performance. Check out the 22 tips to Speed Up WordPress. Your website speed should be around 1-2 second on an average. If it is more than that then you should get concerned about improving it. Examine your web site speed as well as your competitors speed analysis in GT Metrix or Web Page Speed. On page seo optimization is the key factor for organic traffic. If you are concerned about SEO then check Off- Page SEO as well. You should also start building links to high PR websites to gain domain authority. Also, check for social sites backlinks which will give you exposure to search engines for specific posts. Excellent advice and tips! I definitely learned something. Sadly Yoast is not available for us on blgospot. But thanks for your inputs we might be able to use the same principle on our blog. I have never used blogspot, so can not say what works there. 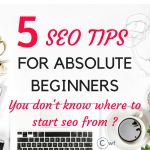 If I get to know some alternative of Yoast SEO for blogspot would surely let you know. Awesome!!Awesome!!!Awesome!!! I read the article till the end, just can’t take my eyes out from any line in the post. It is completely filled with OnPage SEO detailed analysis. I really appreciate the research you have done before publishing this valuable article. I love reading blogs on Seo, affiliate, and blogging. Answers to all my questions about ON-PAGE SEO is clear after going through the article. Really found it to be very helpful, THANKS AGAIN. Hey Sagar thank you so much for this.